Is the G finally giving up on its social dreams? Vic Gundotra, the head of Google+, has announced that he will be departing Google, leaving a big question mark over the future of G's social network. While he stayed on-brand by announcing his move on Google+, some sources speaking to TechCrunch reveal that the future isn't very bright for G's social network at all. Apparently Google is pulling back on Google+ and will no longer consider the service to be one that competes with Facebook and Twitter. 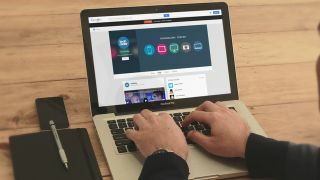 Google's crusade to integrate Google+ into every product will also, allegedly, come to an end. According to these sources, 1000-1200 employees will be moved to other divisions, the Hangouts team will go to Android, and the Google+ photo team are supposedly likely to follow soon after. If this is true, Google sees its future lying with Android, not Google+. We've contacted Google for comment on the matter and will update when we hear more. Google+ is not dead, but according to the report Google's teams will go forward treating + as a platform to be taken advantage of, but not a product to be forced on anyone. At least we've still got Google Glass, eh?